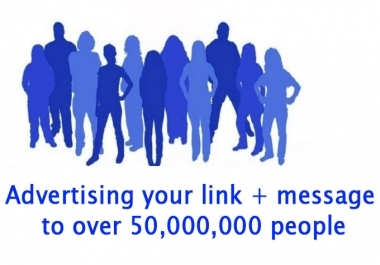 50+ Million Peoples can see your message and 100,000 people will visit your site! We provide a phenomenally good and high quality professional social media advertising service on social networking sites with the most users. Now with our service you can tap into that and have your site/message shared to over 500,000,000 people and receive 100,000+ real social media visitors funneled directly to your site all in one awesomely useful service. Great Extras for more oomph and gusto! We will post your message/link/video or anything to the biggest social media groups, pages, boards and more places related to YOUR site's niche. 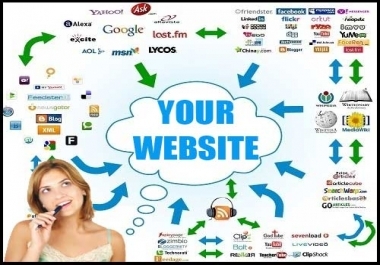 We guarantee that up to or over 50 million people can see your site/product/service/video etc instantly and or in time as and and your posts will remain forever. Over 50 million people can get a notification about your product/service/offer you give us to post in a moment or at some point in their timeline (provided they've not disabled email notification). Over 50+ million people can get an email notification about the posts as they are subscribed too. So, it's like email marketing in a way. A double whammy! 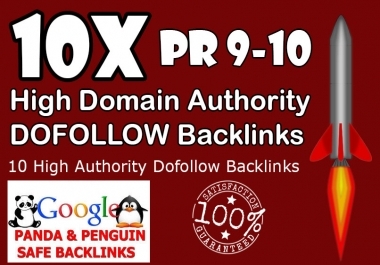 Creates over 150+ 250+ powerful PR9 Social Media post backlinks that will last forever and IMPROVE your ranking positions and build authority to your site the older they get. Creates and builds brand and product awareness to millions of people on the Internet where most of the people hanging out are today. Including your targeted audience! Great for "growth hacking" and establishing yourself on Social Media which results in REAL visitors to your site as well as increasing your respect, trust and authority online. All posts are manually created by real human hands, we don't use any bots or tools to do the posting work it's all manually done by us, real people with our own old real accounts. Cheap and affordable price for REAL Social Media advertising service that targets the best places where you can find your targeted audience to over and over again. Long time well known and highly rated/trusted and respected Level 3X SMO and SMM provider on here for SMM services like these so you/your business is in good hands. Discount codes available for repeat orders/clients. Get the service again at 50% off and just get the posts done only while your traffic still runs. 100% natural and safe ranking effect in Google's eyes since it's just pure Social Media sharing. A great SMO / SMM & SEO service for great people and businesses that need it! UPDATE & NOTE: In some circumstances, due to things like changes in social media sites, demand on the system, orders in queue etc, for some orders, larger ones or those with Quick Delivery especially, we may substitute some things for other things instead. Such as groups for communities. These are equally as large and always related to YOUR website or business or whatever and we would always do more/extra to make up for it if needed. Such as throw in some other things too like some free bonus extra just to go the extra mile for you! NEW UPDATE: This service just got Pack-A-Punched! We're now providing much more exposure to many more people, pages, groups & communities than ever before with Shoutouts to over 500,000,000 people! Using old social media profiles and pages. Shoutouts on Top Social Networking sites including BIG Sponsored Tweets to thousands of followers and more coverage on more social media sites than before. All available in our recommended extras below to get more bang for your buck! NEW UPDATE: 15/11/18: Order now and get FREE Bonus: 20 Big Sponsored Tweets! On Big/Old Twitter accounts: Your message/tweet/URL/hashtags etc. Videos - Peoples favorite thing is to watch online is videos! Do You Need MORE Promotion? While we post to the King of all Social Media sites. The biggest Social Media sites today where most people are online. We can post to other big Social Media sites, groups, pages, communities too! In fact, we can and will search out those groups/pages/communities that are related to YOUR niche, but we can also post to more places for you in this service so you get a true full spectrum of social media promotion! Now posting to Google+ Communities! Google+ has had a facelift recently and it's still going strong! Some of the Google+ communities are truly massive now into millions of users. We will put your ad right into the faces of these people by posting to many many different Google+ Communities! These Google+ Communities have many thousands and some millions of followers and all see your post in the community, on their Google+ profile timeline and email and even get browser notification about it. We can post your links / message to many of these of the biggest Google+ Communities and those in your niche! UPDATE: Google+ Communities are as large, if not larger than any other social media group and are often much more related to YOUR website, product etc and as such provide more targeted advertising than any other social media sites groups or communities. Also, more people are now using G+ than ever before making them very well sought after for webmasters, bloggers, affiliate marketers, entrepreneurs or anyone that wants to reach a lot of people quickly. UPDATE: Google has announced that it will be "sun setting" (closing down) Google+ Communities down in August 2019. We are sure it will be replaced by something else some other "networky" thing. But when that happens, we wont be able to provide G+ community posts probably. But we'll just do extra other stuff..
Don't let anyone tell you "nobody uses Google+ anymore". To them I say - Hello.. More people use it than ever before today! Some of the biggest Google+ communities have more members in them than FB groups do! On top of this, Google+ communities can be much more lazer targeted to your niche which makes them INVALUABLE for SEO and SMM! We'll post to 50+ of the biggest Google+ Communities related to your niche as possible in the standard service. Check out our extras though to have many more Google+ communities posted to. Now posting to BIG Pinterest Community Boards! We are exclusive and lucky members & collaborators of some Big Pinterest community boards. These are boards that have many many thousands of followers in them and things pinned to these boards can get repinned a lot and get more engagement than normal pins can. We'll pin your website/images or anything to them in this service and you can even order even more with our powerful Extras below. Boost Your Website with Pinterest Traffic from Exclusive Big Community Boards! We will pin your link with a message to 10 BIG Pinterest Community Boards. In this service, (as service extra) we will pin your link to some very big Pinterest community boards. We will pin to boards in your niche and our general boards too. This will help you to reach a MUCH MUCH BIGGER audience! I am including my Pinterest Pin/Repin service $11 here at a cheaper price when purchased as an extra here! Have your message, links, images, videos and message manually posted to them instantly by multiple aged accounts and real people! Get 100+ Biggest Social Media King Group posts, + 20+ Page posts related to your niche, and 50+ Google+ Community postings. + 10 Big Pinterest board pins w/ 100,000 Social Media users sent to your site all for one low price of $39! You may use up to 2 URL's and have it split. Traffic to 1 posts to the other. x For traffic no shortened links, redirects, frame-breakers, exit page alert. A minimum of 100,000 visitors to hundreds more. We will send you 100,000 visitors from the biggest Social Media site but if your post that is shared to the groups is appealing it can go viral for a long time, get likes, comments etc and send traffic for years to come. In standard service 100ish posts on 100 of our biggest biggest groups. We can post to more bigger groups and are members of many big groups. Check out our powerful and recommended extras to get more posts, more promotion and traffic! We will post anything Safe for Work. No adult/illegal stuff. You can post anything though, your website, blog, product, video, CPA offers, affiliate offers, Amazon stuff, your own social media profile or page etc, anything! Ask us first if unsure. The group posts are usually all done in a couple of days. Please give us at least 3 days to get back to you with a report. Average time from purchase to completion is 2-3 days. The traffic can be sent all at once or spread out over 7-30 days (default is 30 days). NOTE: If you order 1-4 weeks of posting, this will be done over that period. *If you have any more questions please feel free to message me! Order in confidence! Long time Level 3X Seller. We guarantee to do the work for you within 7 days and provide you proof of work after or we will fully refund you no questions asked. 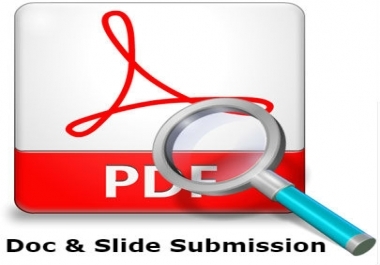 We will start working for you immediately and get back to you with a report in several days providing a full work report including all the posts links (Permalinks) in text file format. And in some cases screenshot proof too. As well as provide you with a high quality superior service you can depend and rely on if you want a 1st class service! Have YOUR site or message shared to some of the Internet's BIGGEST Social Media Groups and Channels and receive 100,000 real live visitors for only $49! It's a no brainer! You may add this service as many times as you want and likewise you may add any of our extras to your order as many times as you want as well. If you'd like quick delivery, we can do that for most orders provided you don't add a huge amount of extras too. (Obviously quick delivery doesn't work if you order 1 week of posting for example) If you'd like to order but have something else in mind, contact us and we'll work out a custom social media marketing service for you. 3000 mixed social signals in standard service. We know how important these are and they go hand in hand with SMM so we'll add 3000 top 4 mixed social signals to your URL for you too! Extra signals on top of the signals for extra power and weight. Several other powerful Extras to get you out there! And check out our new highly recommended extras!